Robot Framework is operating system and application independent. The core framework is implemented using Python and runs also onJython (JVM) and IronPython (.NET). Enables tabular syntax for creating test cases in a uniform way. Allows using keyword-driven, data-driven and behavior-driven (BDD) approaches. Provides reports and logs in HTML format. Supports tests creation even for applications with several diverse interfaces. Provides a library API for creating customized test libraries. Provides a command line interface and XML based outputs for integration into existing build infrastructure (continuous integration systems). Remote library interface enables distributed testing and implementing test libraries in any programming language. For more detailed installation instructions, including installing Python, Jython and IronPython, see INSTALL.rst. Below is a simple example test case for testing login to some system. You can find more examples with links to related demo projects from http://robotframework.org. Starting from Robot Framework 3.0, tests are executed from the command line using the robot script or by executing therobot module directly like python -m robot or jython -m robot. Older Robot Framework versions have Python interpreter specific pybot, jybot and ipybot scripts that still work but will be deprecated and removed in the future. 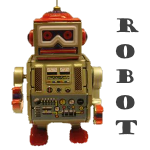 Run robot --help and rebot --help for more information about the command line usage. For a complete reference manual see Robot Framework User Guide.